It is early into the turn of a new decade, the last one of the second millennium, when the (mostly) American supergroup BLACKTHORNE first form in the early 1990’s. The band consists of British vocalist supreme Graham Bonnet (Alcatrazz, Rainbow, Impellitteri, MSG), session mega-guitarist Bob Kulick (KISS, Murderer’s Row, Meatloaf, etc. ), iconic bassist Chuck Wright (House Of Lords, Alice Cooper, Guiffria), king of the keys, keyboardist Jimmy Waldo (Alcatrazz, Vinnie Vincent Invasion), and drumming deity Frankie Banali (Quiet Riot, Heavy Bones, W.A.S.P. ), who replaced original drummer, Greg D’Angelo. The union comes at a time when a new musical movement is underway, branching out from the place of its birth in the Pacific Northwest region of the United States, that movement being grunge. BLACKTHORNE are collectively determined to march beneath the banner and influences of Eighties metal, an age when aggressive guitars, rowdy rhythms, and piercing vocals powered bands. Their plan begins to gain traction when they start the songwriting process within the band. With each of them an accomplished musical veteran in their own right, they find ideas come quickly working together and in no time have the bulk of an album ready to go. In 1993, BLACKTHORNE issue their début album, the 10-song ‘Afterlife‘, via CMC International in the U.S. and Music For Nations in Europe. It has nine originals – ten really, depending on how you look at it, as the album’s closing track is the band’s version of a Rainbow classic, Bonnet’s signature “All Night Long“. Bob Kulick produces the album, with a guest appearance from his brother Bruce Kulick, guitarist for KISS at the time (and eventually, Grand Funk Railroad), on the song “Over And Over“. Other guests provide contributions to ‘Afterlife‘ as well, they include Autograph singer Steve Plunkett lending his voice to a trio of songs that he also co-wrote with the band. Other co-writing credits belong to Keel guitarist Marc Ferrari for his help in penning the song “Hard Feelings”, and famed author and rock periodical writer Steven Rosen on three other songs. Despite his downplay of the album over the years as “…not a good career move” and “…never give it much attention”, singer Graham Bonnet broke his own mold on ‘Afterlife‘. At the incessant urging of Kulick, Bonnet’s vocals on the album are unquestionably much more aggressive and more in the vein of greats like Rob Halford or Bruce Dickinson. When combined with the heavier edge of the album’s music and darker lyrical themes, Graham’s vocals are integral to its emergence as a heavy metal masterpiece over the years. At the time it was issued, Bob Kulick and Graham Bonnet performed as an acoustic duo on several TV shows in Europe and Japan to promote the album. ‘Afterlife‘ remains the sole official release from BLACKTHORNE, who fade into the ether of rock history after its release, though never actually disbanding. In 2016 however, Hear No Evil Recordings releases the 2-CD ‘Don’t Kill The Thrill‘, a reissue of the initial album with a bonus disc that contains interviews and live tracks recorded in 1992. Plus, live songs recorded at the ‘Foundations Forum’ convention in 1994 (hear that set HERE), demo tracks intended for a second album, and six tracks co-written with David Glen Eisley (Giuffria, Dirty White Boy) who was considered as a replacement for Bonnet at some point. That latter revelation is something that would take on a life all its own – with Bob Kulick, Chuck Wright, Jimmy Waldo, and David Glen Eisley evolving into the band Murderer’s Row. 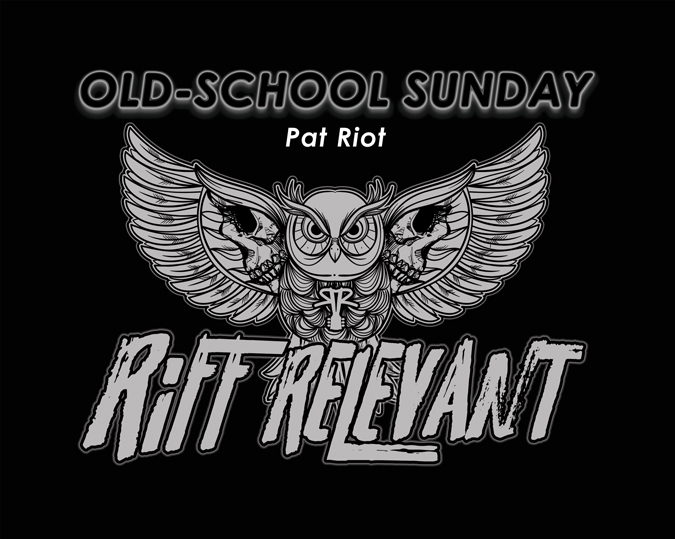 They were also spotlighted in a recent Oldschool Sunday segment HERE at Riff Relevant.